Crowdfunding is a collective cooperation of people who network and pool their money and resources together, usually via the Inter­net, to support efforts initiated by other organizations. Unlike angel investments, in which an investor takes a large stake in a small business, with crowdfunding, you can literally attract a "crowd" of people - each of whom takes a small stake (if any) in a business idea by contributing towards an online funding target. This spreads the risk among backers and creates a strong network of support for your business. 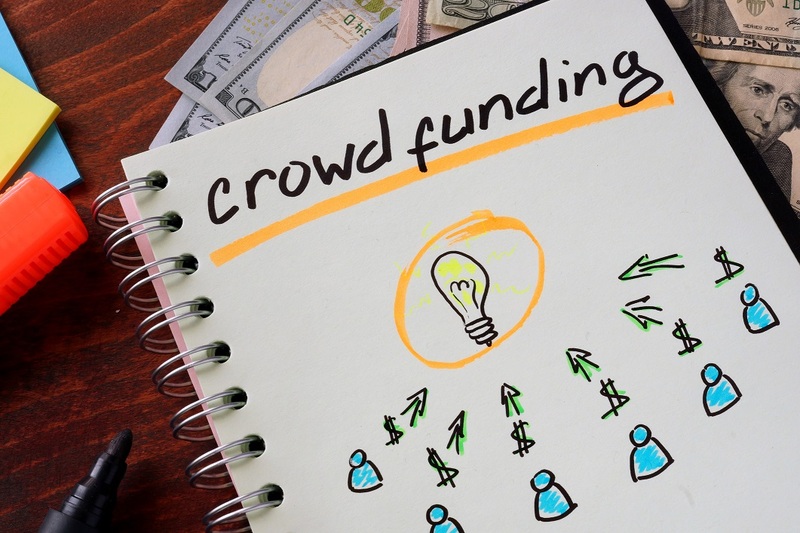 Consider the following 7 tips to run a successful crowdfunding campaign. 1. Crowdfunding is different than venture funding. The name quite literally describes the process: a crowd gives you money, rather than two or three people. 2. Each crowdfunding platform has its own rules. Find the best fit for you. 3. Crowdfunding via Kickstarter is reward-based; i.e., there is no promise of a return to the contributors. Your funders sign up to get a reward. 4. Crowdfunding is a great pre-sales mechanism, since the most common reward is your product. 5. Aim for a "lightning in a bottle" viral effect. Optimize awareness with social media. Don't keep your idea a secret. Sites like 40Billion.com make this easy by broadcasting and promoting crowdfunding projects to its large network of several million users across the most popular social networking sites for small businesses - including Twitter, LinkedIn, 40Billion, and even Facebook. Innovative services like promoted posts and promoted company listings were created for crowdfunders to tap into a growing, active network online without spending thousands on pay-per-click ads or traditional advertising. 6. "The magic is in the video," Don't scrimp on the quality. A great video substantially improves the probability of fundraising success. 7. There are costs beyond the production of your product as noted below. Be sure to factor them into your pledge goal and when you can promise to deliver your product. 1. Administrative: Cost of your time to maintain contact with your backers or cost of hiring someone else to do it. 4. Rewards:If you are offering rewards as an incentive, how much will they cost? How will you execute delivery and how much time will this take? Crowdfunding sites are a strong stepping-stone for acquiring money to fund a new business. While for some it can be a viable option, entrepreneurs do need to conduct their due diligence to decide if this business funding option is best for them.